Tonight is one of those nights that I am so thankful for grace because today was not one of my better days. My kids were actually awesome. I, however, was not. While I am usually the one offering "mercy moments" to my kids, they were the ones offering mercy moments to me today, and they were kind enough to give me all the mercy I needed. Some days are just like that. I tried to juggle too much stuff in too little time, and my joy and patience with them was sacrificed. So when I snuggled up with the boys for prayers tonight, I was so thankful that even in my failure, and even in my weakness, I can use these moments to point our kids to Christ. I can use these moments to teach our boys that being a lover and a follower of Christ doesn’t mean we are going to get it right all of the time. It only means that we are forgiven and unconditionally loved even when we don’t. I used to think that my primary role as a parent was to model Christ-like character for our kids. I was so focused on modeling virtues like kindness, respect, and thankfulness, and when I failed to model those virtues, I would beat myself up. But now, as I'm growing in my understanding of grace and the unconditional love of Christ for me, I realize that while modeling what a life in Christ looks like is so important for our kids, it is even more important that I model what His grace looks like in my life. I realize how important it is to be authentic and vulnerable with them. I think this is one of the most wonderful ways we can lead our children into a living, vibrant friendship with Jesus - by showing our kids that while Jesus does indeed desire obedience, and He does indeed desire to transform us into His likeness, and He is indeed glorified by our faithfulness, He does not stop loving us when our sin prevails. No this does not mean that we go on sinning so that His grace can abound. (Romans 6) It just means that tonight I got to remind my boys that Jesus is the only One who has never, and will never, let them down. 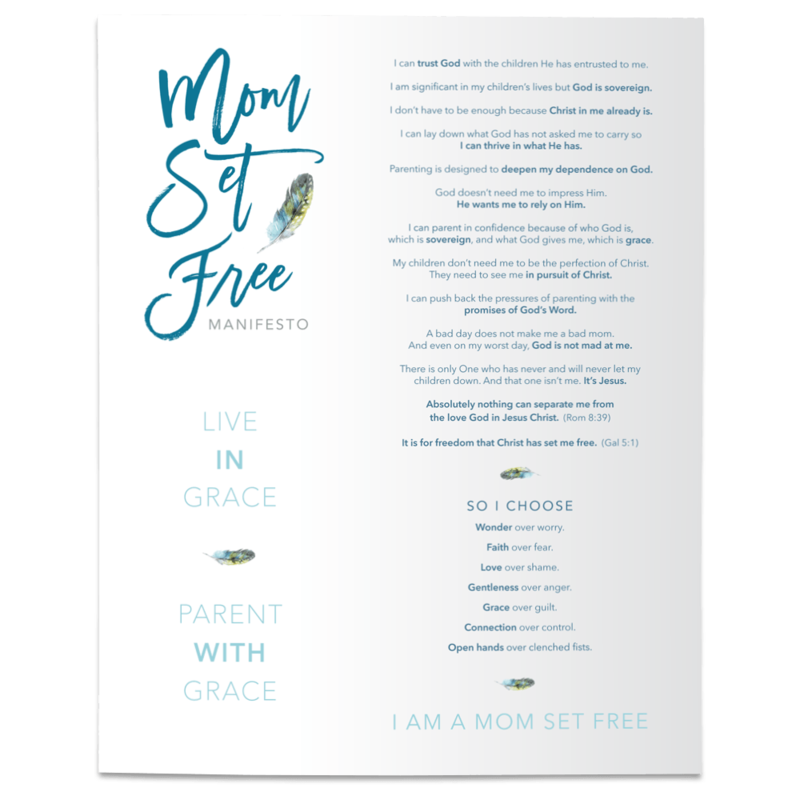 I am an imperfect mom loved by a perfect God. He is a faithful Savior and a faithful friend. And tonight, His strength was made perfect in my weakness.